Content’s not just a marketing thing. And I’m not just saying that because I have a thing for content. I’m saying it because I watch our sales team here at LevelEleven find value in inbound marketing content all the time — and beyond simply case studies. They use content like recorded webinars, checklists and eBooks in as many ways as they can. When your business development team members find an interesting conversation that relates to your solution on LinkedIn, they can use the opportunity to shout: “Our company is the best.” Or, they can use it to offer your team as a resource, by sharing any relevant content you have on the topic. This helps to lay a foundation of trust and credibility early on. Consider having your sales reps add to your collection of content, too. Once a month, each rep can come up with a topic that would interest one of your buyer personas and then type up a short post about it for the company blog. This not only helps prospects to see those reps as thought leaders, but it also sharpens your team’s knowledge on areas of interest within your market. When a prospect downloads a piece of content, that first call’s getting warmer. And you can keep it warm by reaching out to those qualified prospects with more of a “Did you get what you were looking for in [insert title of content downloaded]?” type of approach than a “Let me introduce you to the best product” approach. Again, this reinforces the type of relationship where you serve as a resource. It should also get you more meetings. Not all of your prospects will show up for demos. But more of them should if your team puts a strong effort toward keeping those contacts engaged during that time between scheduling the demo and presenting it. Content offers an easy way to do that. It takes two minutes to write: “Hey John, thought you might be interested in our new eBook on launching Salesforce, since your team just rolled it out.” Then content can help maintain prospect engagement even after that demo, as the prospect keeps moving down the funnel. Companies like the Hubspots and Salesforces of the world that have evangelist customer bases often have these commonalities: They not only work with customers to ensure their offering’s success, but also offer a wealth of free educational content within their area of expertise. Offering educational webinars, eBooks or even one-page checklists will help your team do the same. This obviously ties back to sales when it’s time to talk upgrades and renewals. Just as it helps with staying in front of prospects and customers, publicly shared content can also keep your sales team in front of unqualified leads. All it takes is some sharing of that content on social media or through email. Then guess what happens when any of those leads becomes qualified and suddenly finds themselves in the market for an offering like yours? It goes without saying that your team needs to be well-versed in handling objections. Give them an eBook on the topic of one particular objection to place power behind their words. Then, it’s not just that rep saying: “No, actually [insert objection] isn’t necessarily the case.” It’s them handing over a piece of content that will support their argument and show that their words don’t form some one-time answer solely made up to close that deal. With the rise of inbound marketing, many companies understand the kind of power content offers in generating leads. 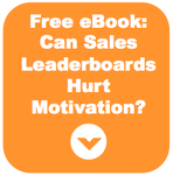 But does your sales team go beyond that and use your content for all it’s worth? Think inbound marketing content is just for marketing teams? Not so much.